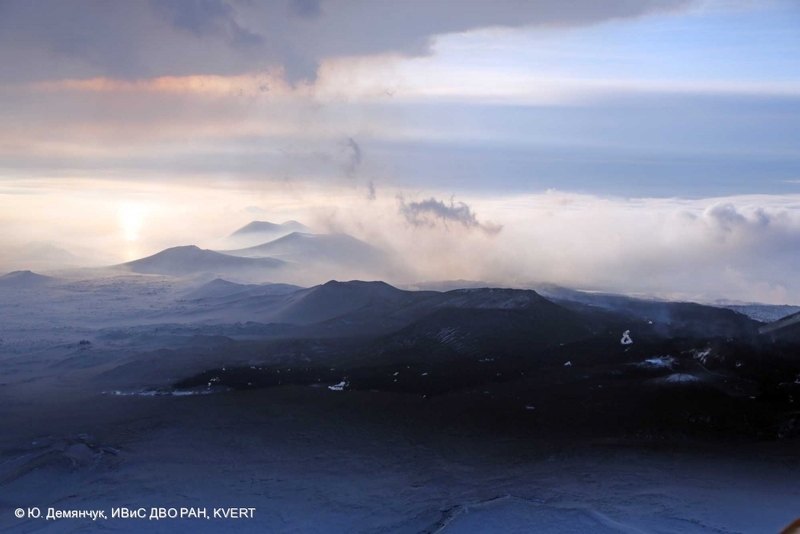 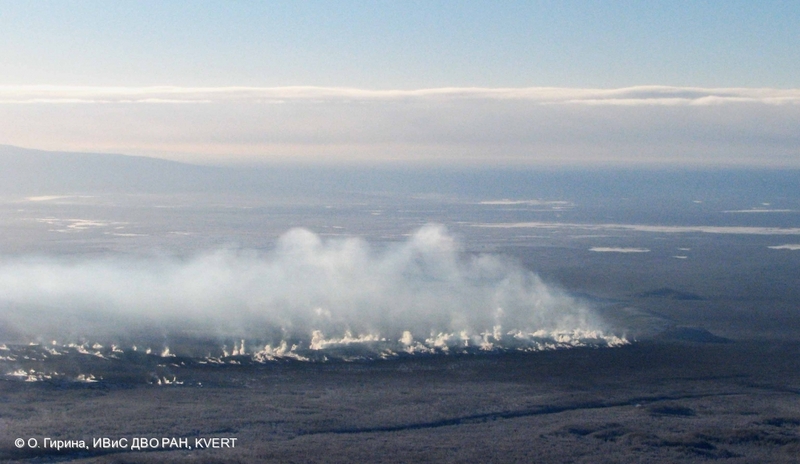 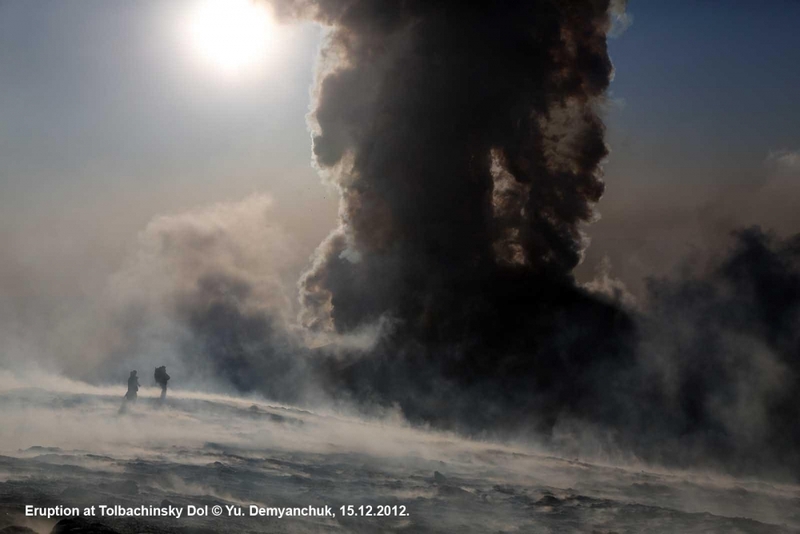 Ash plumes from hot avalanches rose up to 4.0 km a.s.l. 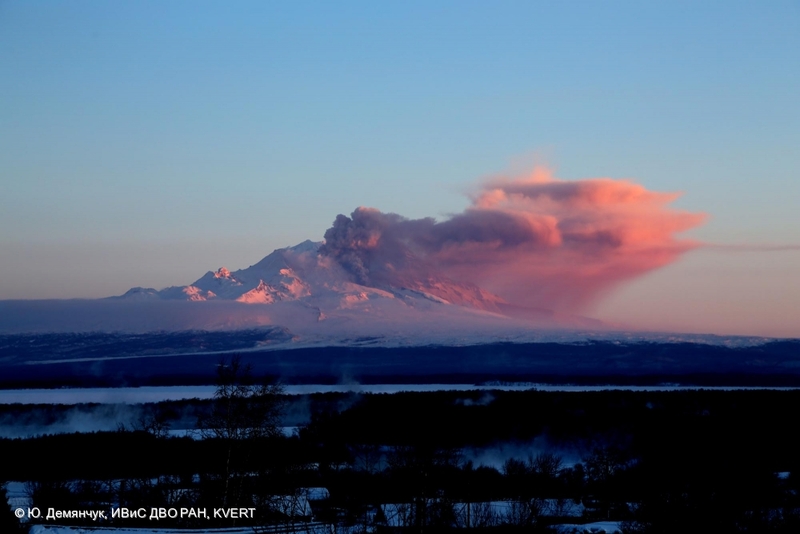 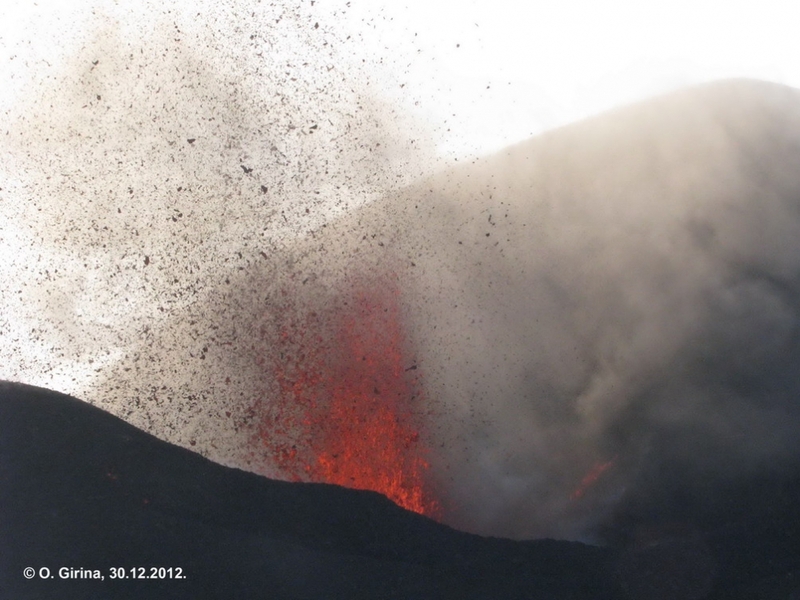 Explosive activity of new cinder cone at Tolbachinsky Dol 30.12.2012. 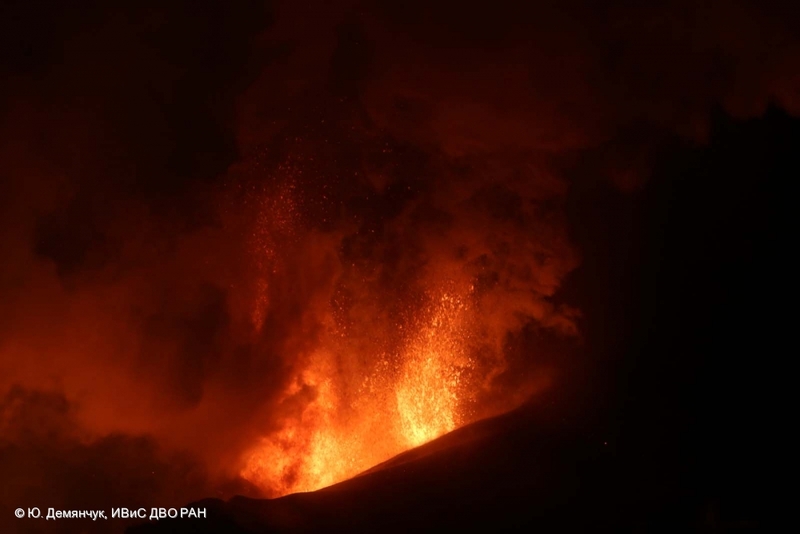 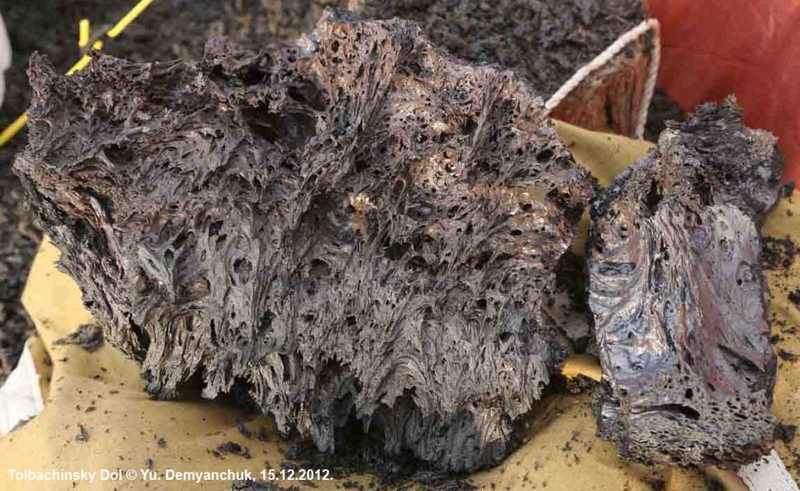 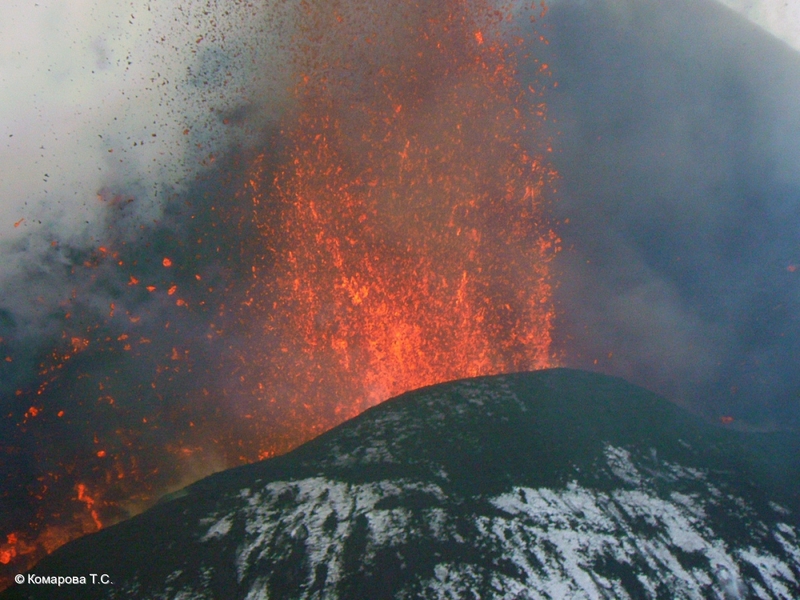 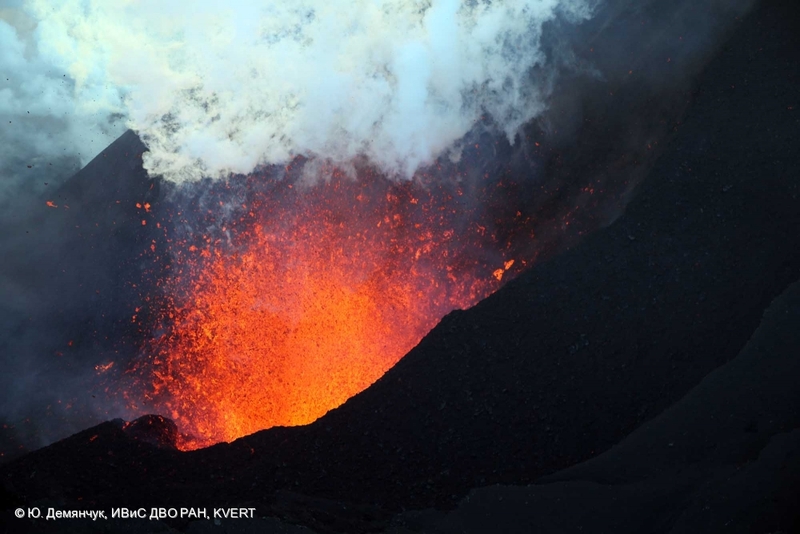 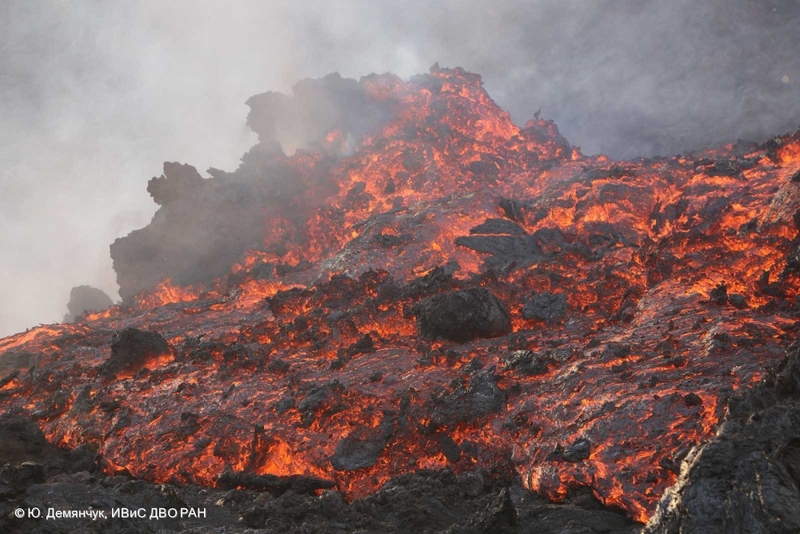 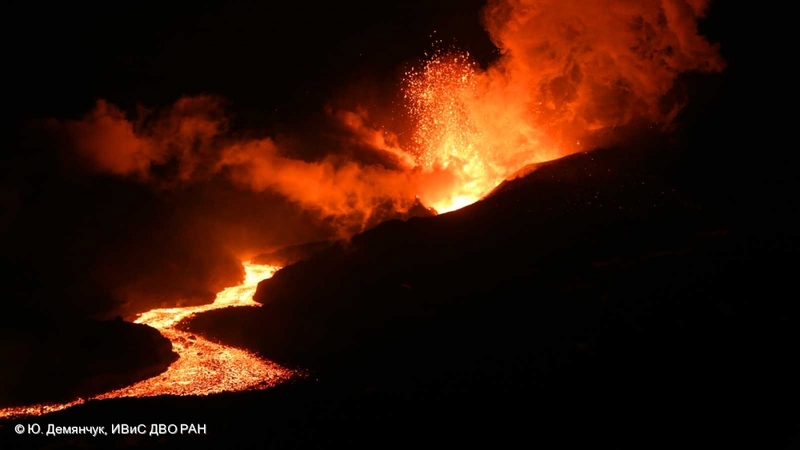 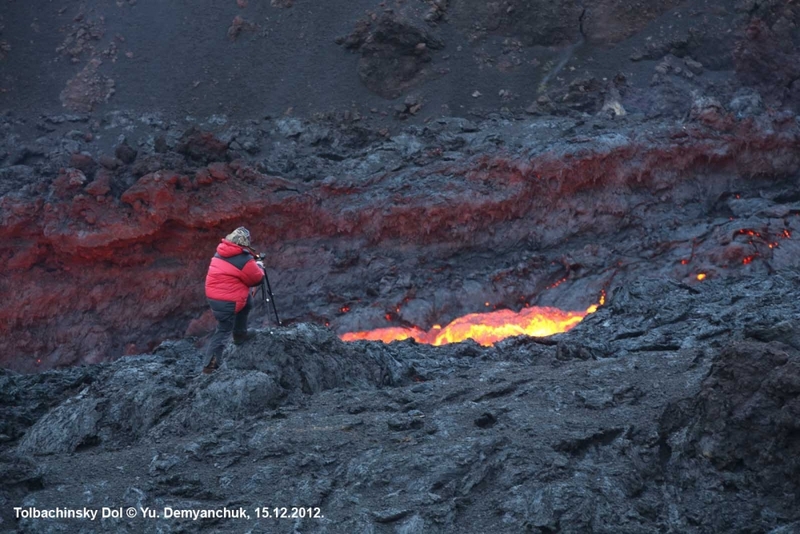 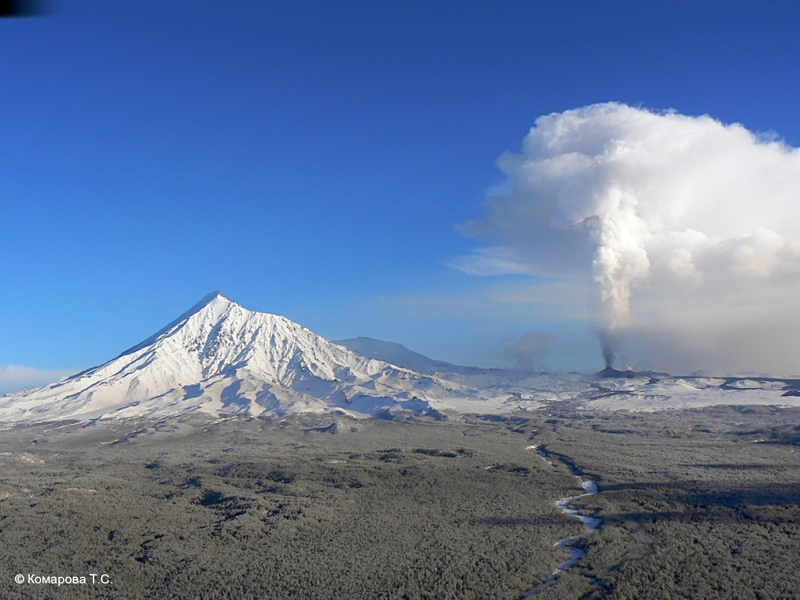 Strombolian activity of the cone, Fissure eruption at Tolbachinsky Dol 30.12.12. 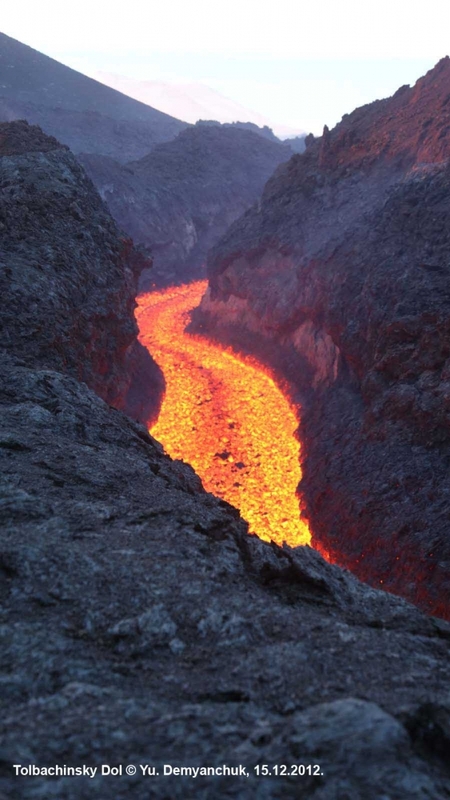 Front of lava flow. 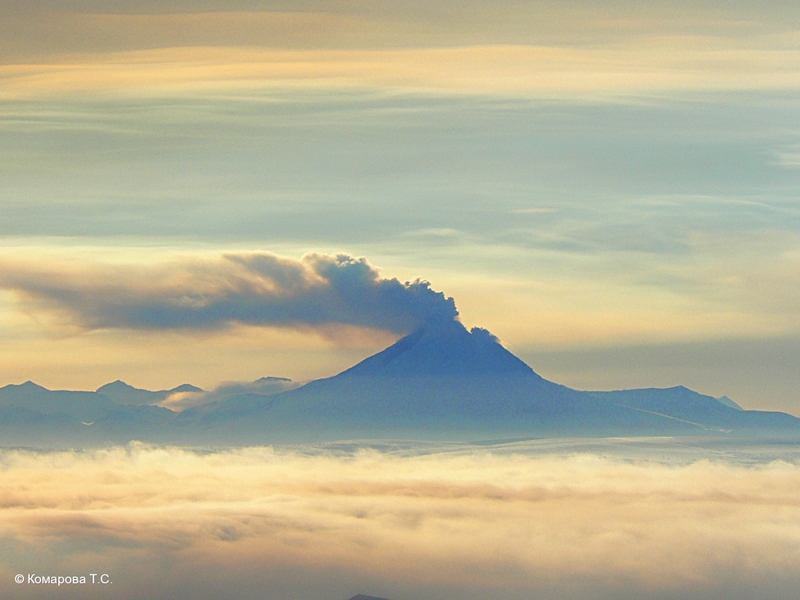 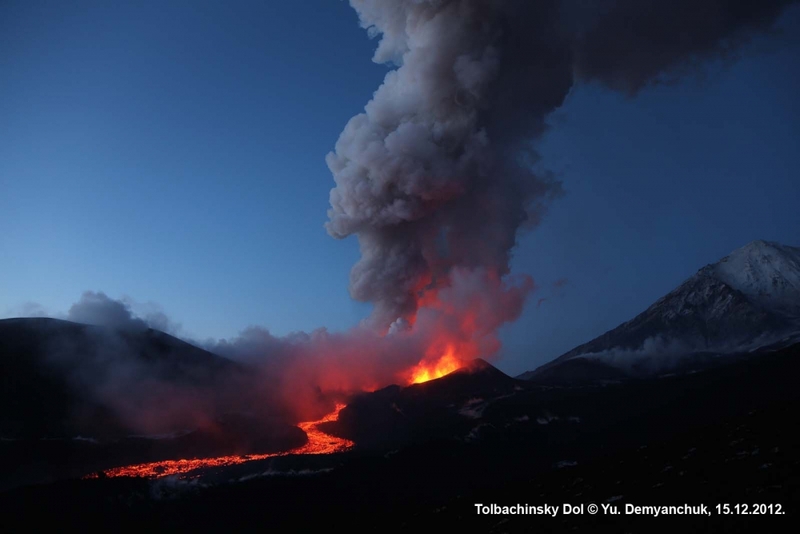 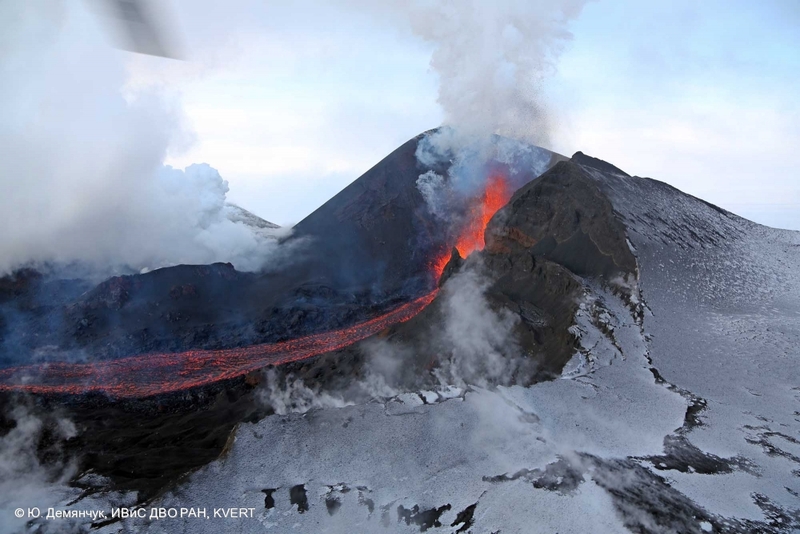 It is effusing from Southern fissure of Tolbachinsky Dol eruption. 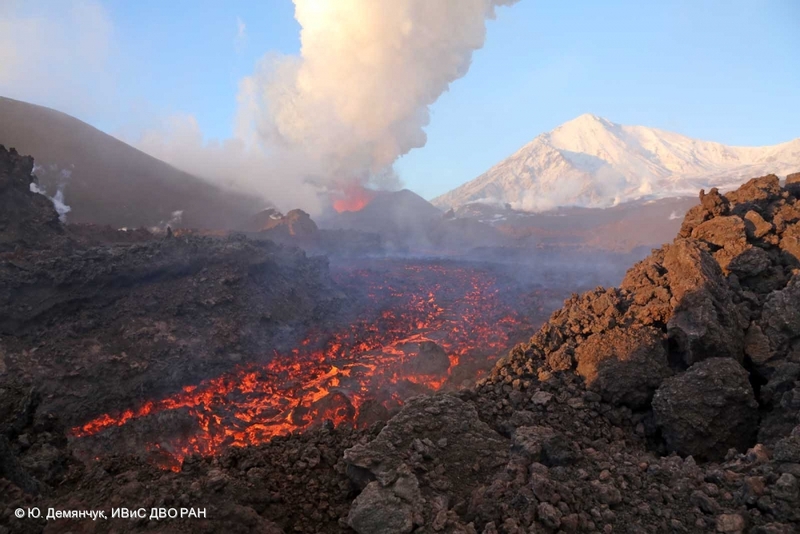 Strombolian activity of cinder cone at Tolbachinsky Dol. 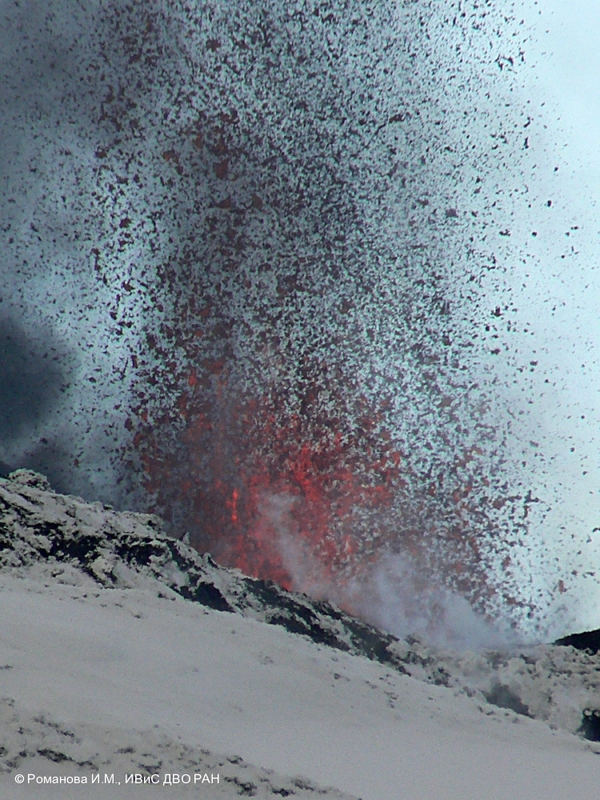 Strombolian activity of cinder cone and effuse lava flow from it to the south-eastern flank of Tolbachinsky Dol. 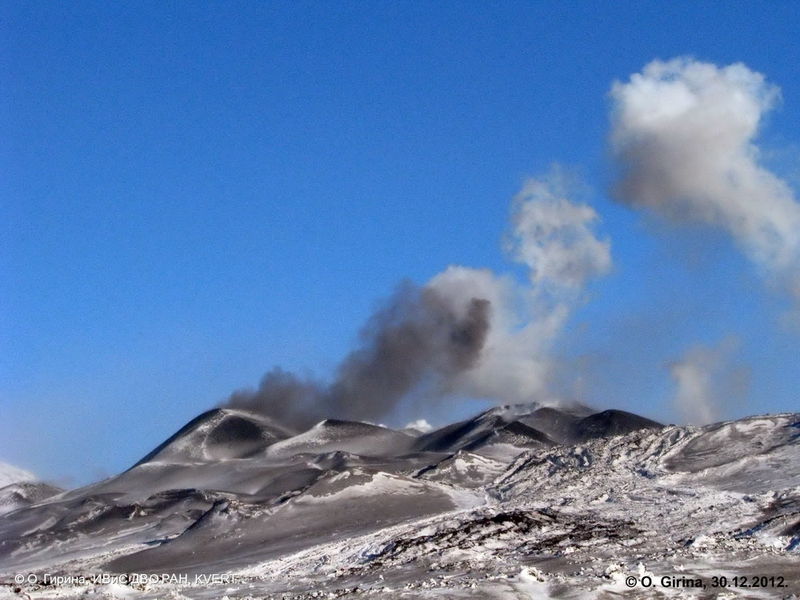 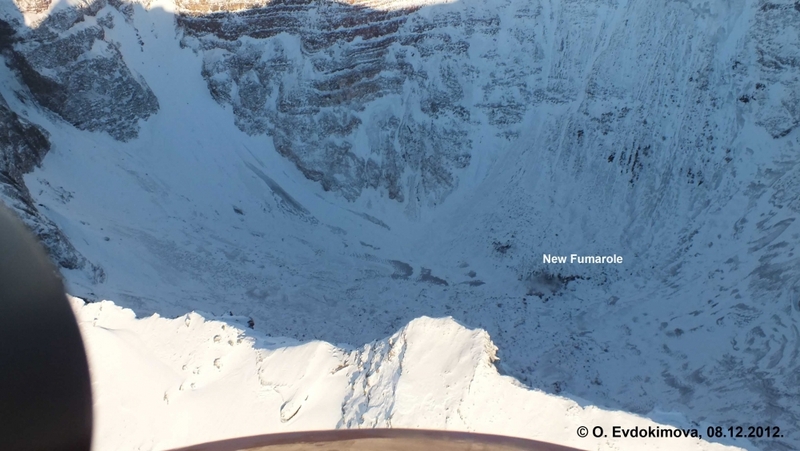 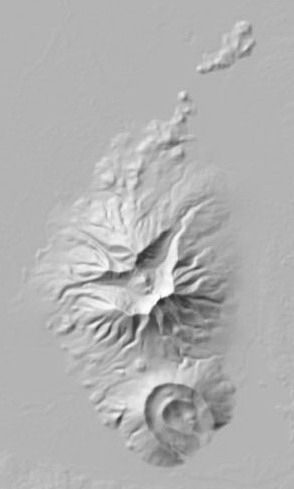 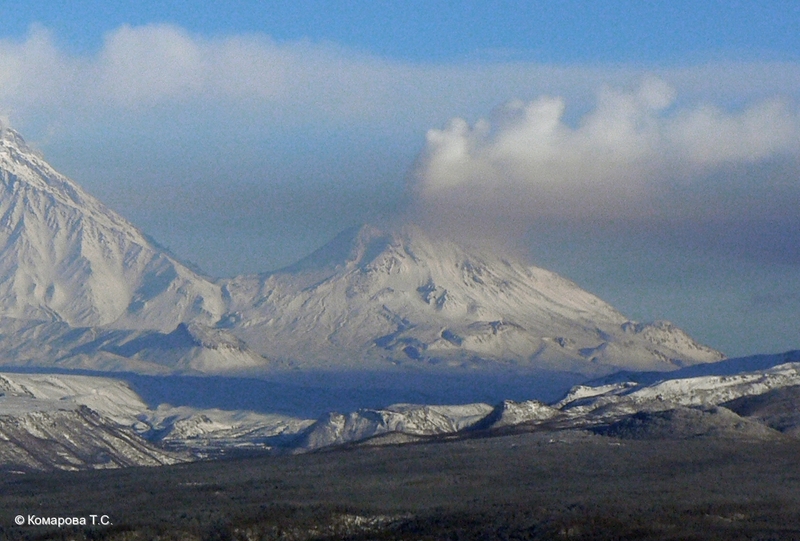 New lava flow from last cinder cone skirts Kleshnya cone and effuses to the south-eastern flank of Tolbachinsky Dol.